A month ago we republished a feature by Shane Ryan about golfer Patrick Reed's tumultuous college career. The story was an adapted version of material that will appear in Ryan's upcoming book, Slaying The Tiger, and had previously appeared on the site Tobacco Road Blues. The article told of how Reed was kicked off the golf team from the University of Georgia after two arrests, and included accusations from teammates at both UGA and later Augusta State that he stole from them and cheated at golf. Altogether, it painted a not-too-pretty picture of the early career of the man who's now the PGA Tour's 16th ranked player. This weekend Reed sat down for an interview with the Golf Channel, and came out swinging against some of the allegations included in the article. You can watch the segment below. Reed opened by saying that "none of the stuff is true, all of it's false," and that he has sent letters to Ryan and to Ballantine Books demanding a retraction. He went on to assert that he was kicked out of UGA because of two "drinking incidents"—not for stealing or cheating. He stated that he has received letters from both of his college coaches—Chris Haack at UGA and Josh Gregory at Augusta State—backing up his version of the facts. In reaction to Reed's interview, Ryan tweeted that he stood squarely behind his reporting, and as golf journalist Stephanie Wei has chronicled on her website with her own independent reporting, Reed's claims in the interview don't stand up to scrutiny. First, in a now-deleted tweet that Wei managed to screenshot, one of Reed's teammates at Augusta State, Taylor Floyd, tweeted to Ryan "Shane my man. Just saw our boy p reed spitting some garbage thru his teeth on the golf channel. Hit me up." This was then retweeted by three others who golfed with Reed at Augusta State. Floyd also tweeted to Ryan, "You're not the only one who wants this dude's nonsense to come to light." 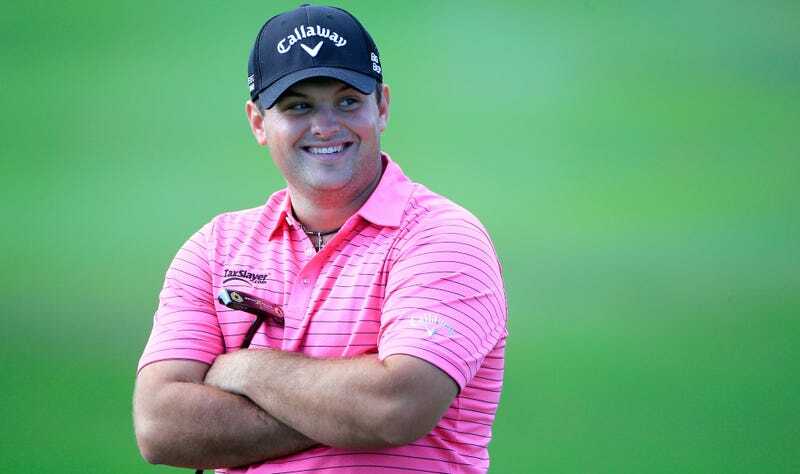 While Patrick Reed was at UGA, I was not aware of any allegations of cheating or theft against him, and therefore, allegations of cheating or theft played no role in his dismissal from the UGA golf team. This does indeed back up Reed's claim that he was kicked off Georgia's golf team for alcohol infractions only, but it is very important to note that this is exactly what Ryan reported. Reed's only successful refutation was of a claim that Ryan never made. And, as Wei points out, Haack only became aware of the allegations of cheating and stealing against Reed after he'd already transferred schools. Reed's teammates (and an assistant coach) knew about the alleged cheating and stealing, but never brought their concerns to Haack. Haack's statement is a matter of semantics: it doesn't reveal anything that wasn't already known, and more important, it doesn't contradict anything in Ryan's story. Shortly after, Gregory and the team met without Reed. Gregory explained what would happen if they decided to kick Reed out—this would be the second controversial ending for him at a school, and would likely have ended his college career, since no team would be willing to pick him up after that. Gregory seemed to feel sorry for Patrick. At that point, the team held a vote, and they chose unanimously to kick Reed off the team. Gregory accepted their decision, and seemed to respect it. After talking with friends and Reed's father, this anonymous former teammate told Wei, Gregory reconsidered the decision and instead suspended Reed for the first two tournaments of the season. While this angered those who felt Gregory hadn't respected their decision, it paid off for Augusta State, who won two straight national titles on the strength of Reed's play.